As far as I am concerned Rydell High School and gang were from somewhere in Jersey, most likely some place like, or not far from, Elizabeth, my old town before we moved to Stony Point, NY. Was it supposed to be NY? Don't care. That gang was from Jersey. Jersey had an aesthetic all it's own back then. 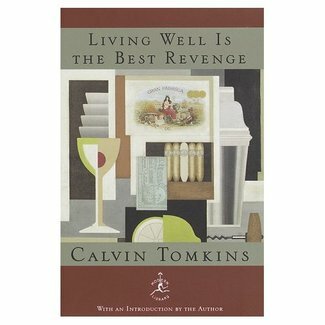 And while it is not easy to put into words, it certainly conjures up vivid images and music for many of us who lived it. Maybe it was about teased hair. Or maybe it was about black leather and skinny black pants, pointy boot shoes, and button down collared shirts with the sleeves rolled up. It was certainly about hamburgers and Cokes. And in the summer it was all about The Shore. But suffice it to say that there could not be a show called JERSEY BOYS on Broadway if not for the particular kind of setting I am trying to explain. There's a reason that Frankie Valli of Four Seasons/Jersey Boys fame had a role in the Sopranos--which took place in good old Jersey. 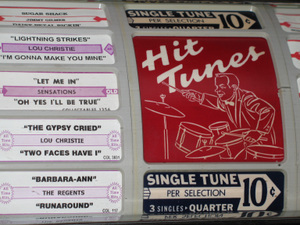 All those cool groups from the early to mid sixties had New Jersey written all over them--even if they weren't really from Jersey. Maybe they were from Philly. Or maybe Detroit. Or maybe even NY. Didn't matter. They smelled like Jersey, in only the best way Jersey can smell. Now, from that wonderful era --a return: the lead singer of the Shangri-Las. Ms. Mary Weiss has recorded an album for the first time in 40 years. Ms. Weiss , it turns out, was from Queens. That's enough like Jersey to qualify. Read all about her in an artice in today's NY Times. 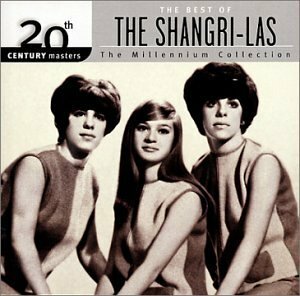 One thing my memory was wrong on: I only remember three Shangi-Las, but I guess at one time there were four. 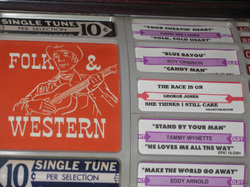 Anyway, I just played Leader of the Pack last night on the jukebox. 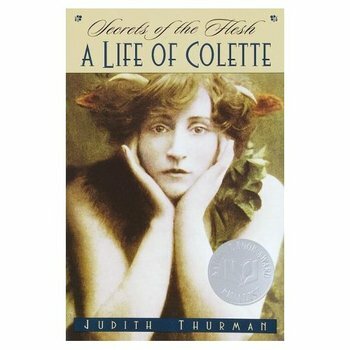 I love that I am reading about her today. 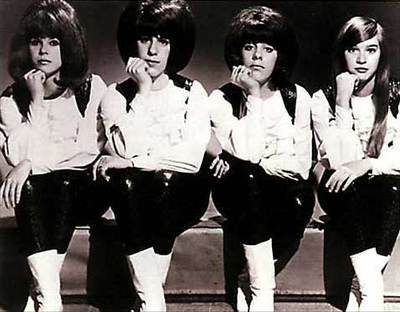 Here is a great site dedicated to the Shangri-Las. 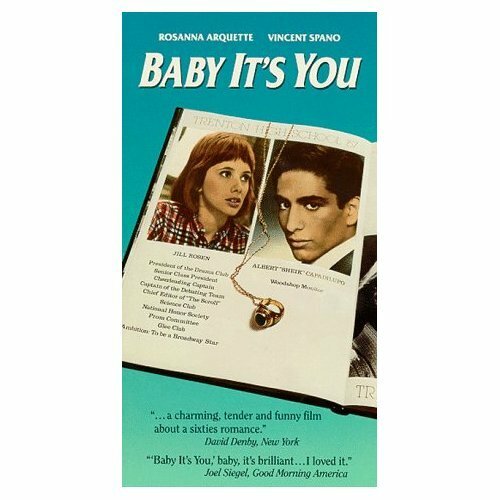 For a great movie from 1983 that also captures the whole time and place make sure to watch "Baby It's You" starring Rosanna Arquette and Vincent Spano. This movie is one of those sleepers that so perfectly recreates the whole sense of the era I am more than a little nostalgic for today. EDITED TO ADD: If you go on to Youtube and do a search for the Shangri-Las you will come up with some great old footage of those tough chicks performing. Besides making, talking about and reading books for children, I love music. When I think of years gone by, at any different point in my life, there is always background music playing. In my head, I live in my own movie soundtrack. 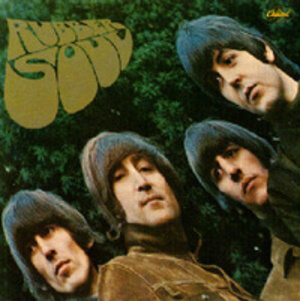 If I go back to junior high school, it is mostly the Beatles--mostly Rubber Soul. In high school it is much more varied, but certain songs do conjure up certain boyfriends. "Worst that Could Happen" (Johnny Maestro and the Brooklyn Bridge) makes me think of the guy I didn't really like, while "Cherish" (The Association) makes me think of the guy I married. 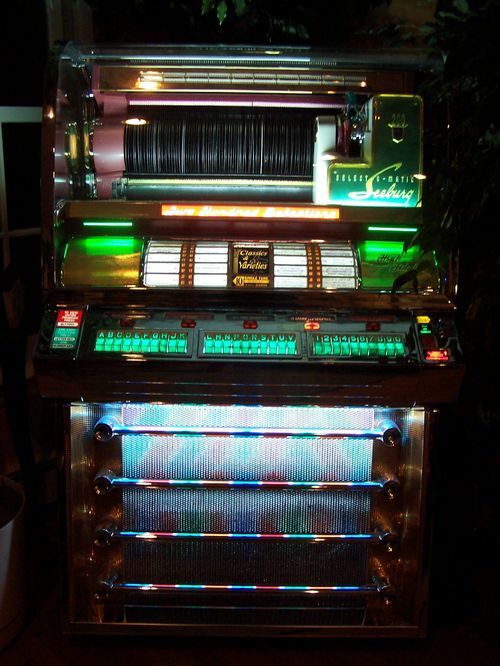 If I want to conjure up the 50's and what must have been countless hours spent in old fashioned diners, all I have to do is play some Doo-wop on the Jukeboxes. 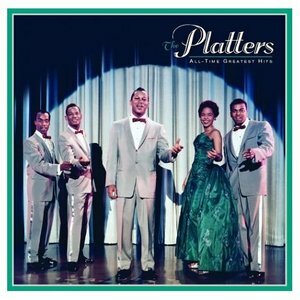 The Platters especially make me think of booth tables, Wallboxes (the term for the jukebox extension that was at the end of each table), and cream for coffee in tiny glass bottles. But the funny part is that my span of recollection, and the feeling of "having been there" is actually much longer than my actual life. For example, even though I grew up in the 50's and 60's I have a sense of what the 20's MAY have been like thanks to artwork, silent films, photos, and Rapsody in Blue. 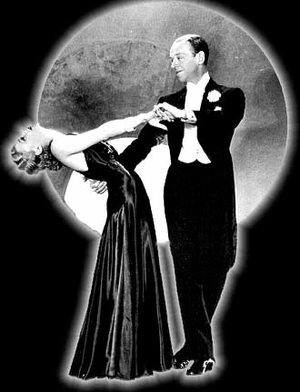 It is not hard to conjure up the Jazz Age in all it's glory when you listen to George Gershwin music or that of Irving Berlin, with songs like "Remember" and "Always." When you go to the Jazz Age web site, make sure to click on the music links. 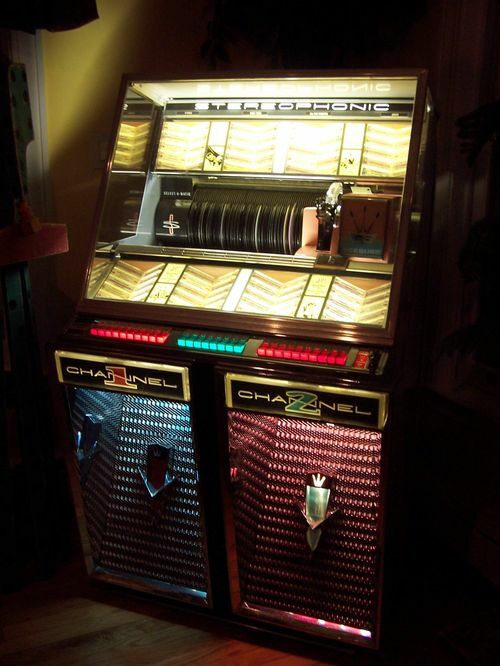 Happy Feet is the epitome of the 20's in my mind.Add that to the fact that the first "antique" my husband and I ever bought in the 70's was an old wind up RCA Victor "Victrola" with the collection of old 78's--mostly from post WWI thru the 30's. Because I was home sick a lot as a kid, and because I lived in the sphere of wonderful NY TV, where old movies ran over and over again on any one of 6 stations, I also feel like I WAS THERE when it comes to the 30's and 40's. 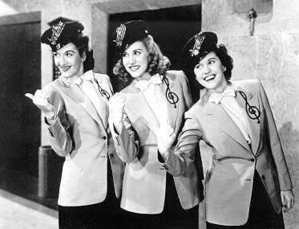 Years of watching The Little Rascals, Fred and Ginger tap dance, and the Andrews Sisters appear in old Abbot and Costello movies helps me think that I know what the "dress" and the atmosphere was like during the FDR years. I got that old feeling again last night when I caught part of a rebroadcast of Ken Burns' "JAZZ" documentary. Yeah, "I remeber that" I thought to myself. To some extent, these time machine feelings also slip back to the late 19th century from the combination of period art, photos and certain composers. Ditto to the Ragtime years when I hear Scott Joplin rags (great site where you can hear the rags played) . And, for the record, I never understod why they used Joplin in "The Sting," when it really should have been Irving Berlin or Cole Porter. 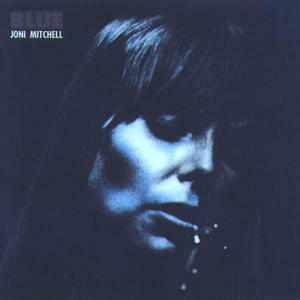 So, the other night, when we were sitting with a couple of glasses of wine and listening to Joni Mitchell's "Blue," I was back in Buffalo, in 1975, sewing dolls and puppets--which is when and where I listened to that album ALL of the time. That was a simple time also filled with Phoebe Snow and Poetry Man, another bit of background music for those years. Of course, the time mchine does not stop collecting data. It's not hard to put myself about 5,10,15, 20 years ago, depending what album I play. And last year while painting the art for my book? 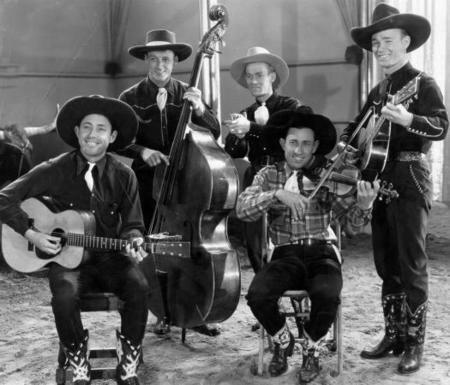 Well, I will always be lost in the prairies with Roy Rogers and the Sons of the Pioneers. I played it over and over again. That, and Emmy Lou Harris and Willie Nelson and Hank Williams Jr. Yeehaw! ...I almost forgot! 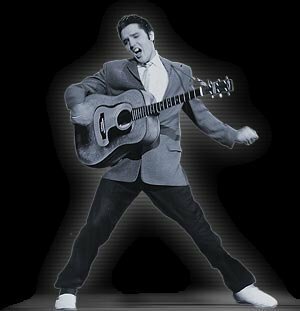 Today's is Elvis' birthday! I had to be reminded when my mother and father told me so. Shame on me! Salute to the King. If you don't know by now, I sorta really like Elvis. I have a whole family room that is becoming his place--one giant Kitschy tribute to the big guy. You might call it tacky, but I call it Graceland. 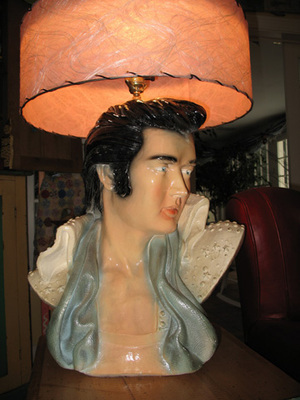 It all started with the jukeboxes (where I discovered that he really could get ya rocking), but the Elvis lamps cemented it. Now the Elvis Room, joins the Cowboy Room (and bathroom and mudroom) and the "It's Raining Cats and Dogs" front entry way. But I digress. I was to talk about Elvis. He would have been 72 today. I love his music. I love his flamboyance. I love that he really did have talent--as opposed to a lot of celebrities today. I love that he has remained a cultural icon and that he came from nothing in a way that was fresh and different and not at all scripted. In a day and age when success springs as much from buzz as from product, he represents another time and place when things were not so slick. Except for his hair. His hair was slick. Like patent leather. Loved that hair, loved that lip. Now back to the world of--as I call it--Kid Lit. (see 2 posts down, from several days ago). I love Elvis, but not as much as that. Lights, Action, Rock 'n Roll..... the pictures! 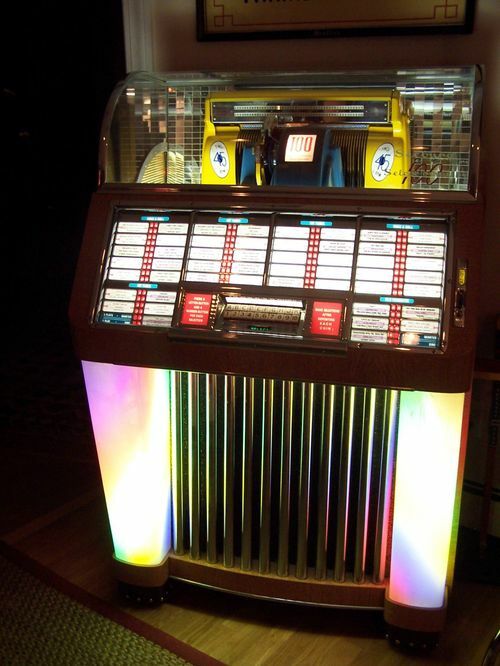 n the same year that we bought our son his first iPod weighing in about as much as a deck of cards, my husband and I bought our first vintage jukebox. It tips the scales at about 350 pounds. Our son's iPod holds 10,000 songs. 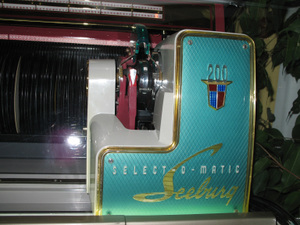 Our Seeburg C, from 1952, holds fifty 45 rpm records, playable both sides. Our son can put in his ear buds and go anywhere with his tunes. 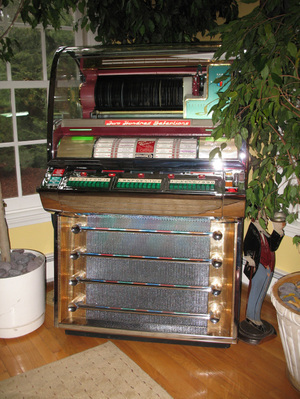 Even though the juke has wheels it stays put and my husband and I hang out in our house, close to the juke. It does play loudly enough to fill a few rooms. One might say that our son is of the modern age and that his parents are lost somewhere between the early Triassic period and the Age of Vinyl. Yes, one might say that, but guess what: the juke sounds better, feels better, and it does have lights that move. The iPod? Well, it comes in a few colors. It has no lights. No chrome. It does not fill a room with sound. 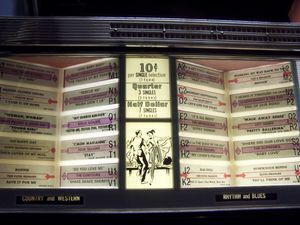 Honestly, I also now own an iPod and I like bringing it in the car and playing it through the system (I hate those stupid ear buds), But my absolutely favorite way to listen to music is on a genuine Jukebox. It is not because the sound is out of this world, which it is. It is because it is the whole package: machine, lights, chrome, visible moving parts, glimmering glass, plus a sound that just BOOMS. On a Saturday night after a nice dinner and some wine, we can gets hours of enjoyment playing DJ and picking old songs. Since the newspaper article came out about our friend Larry Nickerson-expert restorer of Jukes-- he tells me that his phone is ringing, the emails are piling up, and the TV stations are eager to learn more. I guess maybe people are thinking that they might need a nice gleaming juke or two in their homes. I am not surprised. It is a veryhard hitting and contagious bug. My husband and I still haven’t recovered . I am not even certain that there is a cure. And if there were a treatment, I would decline to take it. I love having Jukeboxitis. I especially want to give the disease to others. The expenses of the jukes has been far surpassed by the enjoyment of the music. Honestly--we have gotten more than our money’s worth. If you check out books about Jukes you will marvel at the absolute funkiness of design. Especially the jukes form the 50's. In many of them, we see the perfect blend of Atomic Age and the Adoration of the Automobile. Some models even have trim that resemble taillights, fins, fenders....A lovely aesthetic that I have come to appreciate to the max. But the sound. Ah, the sound. That’s Back In Time Warehouse and also Bars and Booths. You can get the juke but also turn your whole house into a diner in one fell swoop. Thought I would show some pictures of Larry's fine work. Sorry for the flash glare! As always, click on the picture for a nice close up! 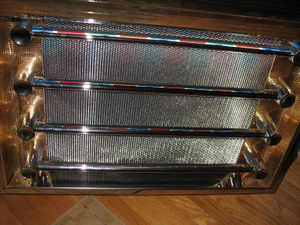 Here is a close up of the chrome. And the Selectomatic Mechanism and some original graphics.